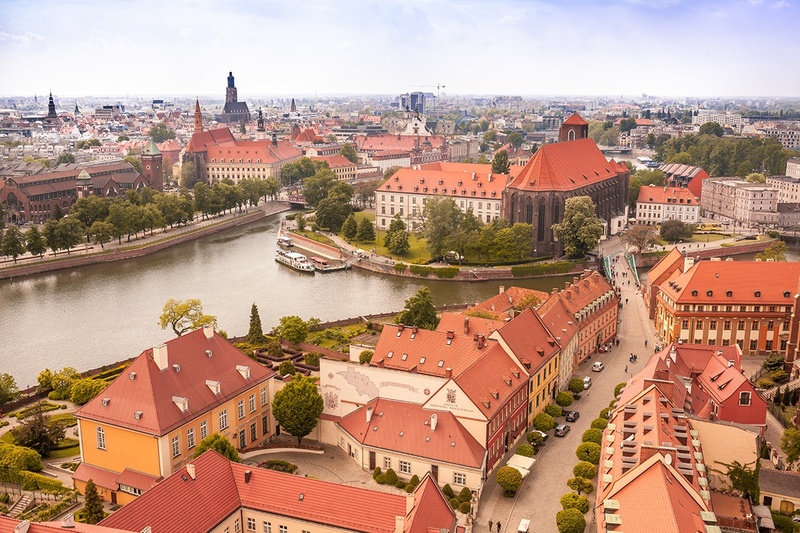 Wrocław is deemed to be one of the most beautiful cities in Poland. It is at the same time the capital of Lower Silesia Voivodship and of whole historic Silesia. Wrocław is located in the south west of Poland. The city is placed 350 kilometers away from Berlin and Warsaw, and 300 kilometers away from Prague. Historical mentions of Wrocław date back to the 10th century. The city is proud of its multicultural tradition. It has been influenced by Polish, German and Czech culture over centuries. Wrocław is an important academic center in Poland: the amount of students is 18% of the whole city population (more than 700.000 people, all agglomeration is more than 1 million), This capital city of Lower Silesia is greatly connected with the rest of Poland thanks to the location nearby of A4 (East-West) and A8 (North-South, a city beltway) highways, S5 (North-South, towards Poznań) and S8 (towards Warsaw) dual carriageways as well as the airport with the passenger traffic of 2.5 million people yearly.